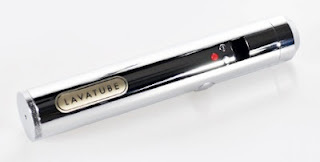 New Lavatube - Volcano Ecigs Releases New Chrome Lavatube! Well, they're finally in! The NEW Chrome Lavatube by Volcano Ecigs has just been released, and it looks pretty darn sweet! The new Chrome Lavatube has a new metal end cap, an Ego atty styled threaded top cap, and is even engraved with the "LAVATUBE" logo right on it. The Lavatube is the highest powered ecig offered by Volcano Ecigs, and can be configured to allow you to vape with anywhere from 3 to 6 volts of power. It is Variable Voltage Vaping at its finest, specially designed with a "voltage up" and a "voltage down" button so you can easily choose your favorite vaping power. The new chrome Lavatube allows you to select and set your preferred voltage power anywhere form 3 volts to 6 volts in 0.1 volt increments. Very cool! Due to all the improvements Volcano Ecigs has made to the chrome Lavatube, it does weigh slightly more than the silver or black Lavatube versions do. Check out Volcano Ecigs today to get your hands of these cool new chrome Lavatubes! 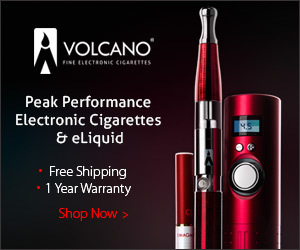 • Volcano Ecigs Adds Two New E-liquid Flavors for Ecigs! Just for some midweek fun, I decided to compile a "Top 10 List" of the benefits of switching to e-cigs and vaping (as opposed to "smoking"). As you may already know, many smokers have happily switched to vaping. And for many of them, it was the only way in which they could drop the habit once and for all. So with that in mind, I figured it'd be fun to list some of the top reasons why people switch to vaping e-cigarettes as an alternative to smoking tobacco cigarettes. And as it turns out, there are countless reasons. So many reasons, in fact, that I had a hard time figuring out which ones to list here! 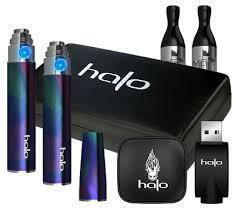 • No more buying expensive packs of cigarettes or expensive cartons of cigarettes. • No tar, no ash, no smoke, and no odor! • Cheaper health insurance (no "smoker" classification on your health insurance policy)! • No tobacco smoke smell on you, your clothes, etc. • No stinking up your house or car with that nasty smoke smell. • No cigarette burns, ashtrays or fire hazards. • No more being asked to bum a cigarette! • A great conversation starter - E-cigs are definitely a great conversation starter. • No negative social stigmas. Vaping is NOT seen as bad, disgusting, etc., whereas smoking cigarettes definitely is. • Less nicotine! Many vapers find themselves wanting less and less nicotine over time. In fact, many vapers eventually move on to ZERO nicotine e-liquid. Bottom line, vaping is a great alternative to smoking regular analog tobacco cigarettes. And not only are they a great alternative, but they're also a much cheaper alternative! Additionally, e-cigarettes may very well be your best alternative to smoking altogether! As the evidence continues to pile up, it increasingly shows that more and more smokers have been able to successfully switch to e-cigs...without looking back at all! So e-cigs and vaping undoubtedly have the upper hand when it comes to such alternatives. And to us, that's no surprise at all, especially based on the feedback we've gotten from vapers from every corner of the globe. For the vast majority of them, it's the only thing that's ever worked. Yeah...so I've had several people ask me how to do the Taryn Spin method in order to refill their ecig cartomizers. Well, my friends, here's a simple video demo for you that explains just how to do it! The Cartomizer Condom Filling Method is one of the simplest and easiest cartomizer refilling methods there is. Just fill one of the cartomizer condoms (the rubber caps that come with your cartomizers) about half-way full with your e-liquid. Then, simply push the cartomizer down into the rubber cap. This will force the e-liquid up and into the cartomizer, thus, filling your ecig cartomizer! The second part of the video demonstrates the Taryn Spin method. The Taryn Spin method maximizes the amount of e-liquid with which you can fill your ecig cartomizers, no matter which cartomizer filling method you choose to use. After filling your ecig cartomizer, just place it (with the battery end down) into any kind of bag or holder (a Ziplock bag, a battery pouch, or a lanyard), and spin it! The centrifugal force will force the e-liquid to the battery end, leaving room for even more e-liquid! The result? Your cartomizer is filled to the max! PROTIP: Get the V2 Lanyard. The V2 Cigs Lanyard is extremely handy if you want to transfer e-liquid from one cartridge to another using the cartridge Taryn Spin method. Hope that helps! If you have any questions regarding ecigs, starter kits, cartomizers, e-liquid, etc., be sure to ask us! You can do so by commenting below, or by using the Full Vapor contact page. 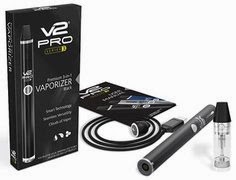 Popular ecig brand V2 Cigs has just launched its newly reformatted website (you can check it out here), along with new carrying cases, redesigned ecig chargers, new improved packaging, and a few other things. In this site review I'll cover some of the enhancements, new products and redesigned products unveiled by V2 Cigs this week. 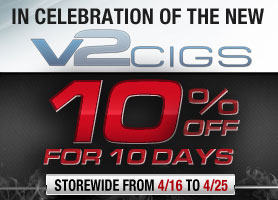 NOTE: V2 Cigs is offering 10% off everything storewide until April 25th! The New V2 website design greatly simplifies the ordering process. For example, if you're ordering an ecig starter kit, the new website builds it for you right before your eyes. You simply choose your favorite colors, the e-liquid flavors and strength you want, and they do the rest. They've also added a neat new feature that will show you the estimated shipping time of your order, so you'll have a good idea of exactly when your package will arrive. No more wondering when your order will be shipped. And when it comes to shipping your ecig order, V2 certainly leads the pack. They not only offer USPS, but also UPS (United Parcel Service) shipping options. For more on their new partnership with UPS, go here. I wrote an article about it when they announced their partnership with UPS. Also, when you build your order, V2 Cigs offers you combo deals (one-time discounts) that are designed exclusively for you. These discounts offer you even more savings on items that complement your order. Basically, when you add an item to your shopping cart, V2 Cigs will show you related items and offer then at a one-time discount. It's an easy way to save even more money on your V2 Cigs order. V2 Cigs has also redesigned all their packaging...and the new packaging is pretty sleek. For example, if you order a V2 starter kit, there's no doubt that you'll be impressed with the presentation as soon as you open the box. And starter kits now come with all cartridges neatly tucked into one streamlined package. In addition, the new V2 packaging now comes with an expiration date. All flavor cartridges, e-liquid, express kits and disposable ecigs come with expiration dates, so you'll know for sure that your stuff is fresh. Flavor cartridges are now also individually sealed in foil-protected blister packaging to prolong the life of your cartridges and protect them from tampering. V2 Cigs now offers transparent e-liquid testing with live batch reports via email. This is available to all V2 customers. 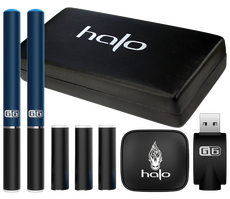 This is a revolutionary change, and is brand new to the ecig industry. No other ecig company offers to send you e-liquid batch test reports to your email address. Batch tests will let you know exactly what's in the e-liquid you buy. How do you get an e-liquid batch test report? Simple. Just go to the batch report page and request one! Hopefully other ecig companies will begin adopt this practice and make it a guideline to follow. It really helps to guarantee the quality and safety of e-liquid sent to electronic cigarette users. • New Carry Case & Carry Case XL - These have been completely redesigned to be the best ecig carrying cases ever released. They're sleek, slim and made to store long batteries. 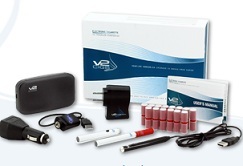 • New Express Kit - This new starter kit is the lowest-cost rechargeable kit V2 offers! • New Portable Charging Case & Charging Case XL - These are simply the best portable charging cases available. And as requested by V2 users, they're made to fit long batteries! • Redesigned Smart Charger & Express Charger - These ecig chargers charge twice as fast and have an internal computer chip that cycles through a battery-testing process every couple of minutes. They ensure a longer life of the V2 batteries and also protect against battery overcharging. • Improved V2 Lanyards - The new lanyards are a durable, longer-lasting, and give you an easy way to keep your V2 electronic cigarettes safe and handy at all times. • Car Adapter Upgraded to 2 AMPS - Allows you to get more power from your Power-Cig in the car and charge your batteries even faster. 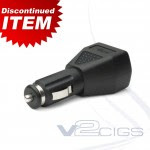 You can charge your V2 cigs on the go, and use your V2 Power-Cig and Notebook-Cig in the car! • New Kit Packaging - High-quality and reusable gift boxes that are really impressive. With all the new products and improvements recently released by V2 Cigs, you might think that they'll want to take a break for a while and cool their jets. Well, not so. They have some more cool things up their sleeves coming very soon. So stay tuned for such things as: new e-liquid flavors, special edition flavor cartridges, and the release of Vapor Couture! 10% Discount on Everything at V2 Cigs! As you can see, V2 Cigs is definitely on a roll. And that's just one of the reasons why they've consistently been our all-time favorite electronic cigarette brand to date. 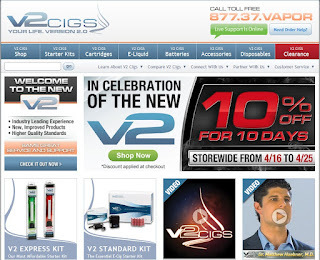 V2 Cigs Coupon Code - 10% Off All Ecigs, E-Liquid and More! V2 Cigs Coupon Code - 10% Off Everything! 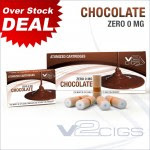 Get 10% off all your purchases at V2 Cigs. That's right, Full Vapor e-cigarette reviews offers you a way to save 10% on anything and everything you buy from V2 Cigs! This includes: V2 Cigs starter kits, V2 cartridges, V2 e-liquid, the V2 Power-Cig, V2 batteries, auto adapters, drip tips, V2 disposables and more! Just go to the V2 Cigs site and select the item or items you want. Once you click the red "Add To Cart" button, you'll be taken to your shopping cart, which shows a preview of your order. On the right-hand side of that page you'll see a "Coupon Code" box. Just type fullvapor into that box and your 10 percent discount will automatically be applied to your order. 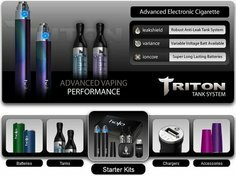 UPDATE: V2 Cigs has completely updated and improved their website. The "fullvapor" coupon code still works, but the image above is kinda outdated since the new site design has changed things around a bit. But don't worry, the process is the same. See below on how to use your V2 Cigs coupon code. Volcano Ecigs has now added two new e-liquid flavors to their vast selection if ecig e-liquid, or as they call it, "V-Liquid." They've just recently added Lahaina Lychee and Pele's Papaya to their long list of yummy e-liquid flavors. All Hawaii-inspired, and all truly wonderful. 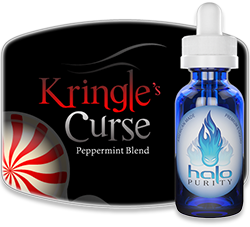 And I gotta say, I just love the names of the e-liquid flavors that Volcano Ecigs has come up with. They not only sound really tasty, but they're quite creative as well, truly capturing the tropical essence of Hawaii...its exotic beauty and peaceful island warmth. You almost feel like you're right there, enjoying a serene tropical getaway as you relax on the beach, lay by the pool, gaze at the shimmering waterfalls, and just plain lose yourself in total tranquility. Mauna Dew - a Mountain Dew flavored e-liquid...a favorite amongst many experienced vapers! Red Hot Lava - for the cinnamon lovers, this cinnamon flavored e-liquid tastes like the Red Hots candy we loved as kids! Of course, Volcano Ecigs also offers more traditional tobacco flavored e-liquids for your ecigs, like: Tobacco, Tobacco Pure and Menthol. 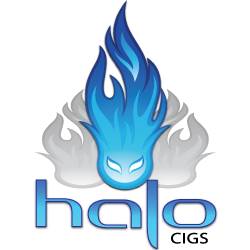 So if you're looking to get some of the best tasting e-liquid you can find, e-liquid that is hand mixed, made in the USA, and oh so delicious, then be sure to check out Volcano Egics. You sure won't be disappointed.